The role of a real estate agent has changed as the use of technology has expanded. The Internet allows home buyers to view hundreds of listings and an overload of information about local real estate markets. Many people are tempted to ask why they even need a real estate professional when buying a home. As the challenges of home ownership become increasingly complex, a good realtor is more important than ever. Buying a home involves more than just looking through pages of listings. Bowen Agency Realtors has been helping people buy homes in the greater Lewisburg-Sunbury-Selinsgrove area since 1971. There is simply no substitute for Bowen’s professional experience and familiarity with the local markets. A Bowen Agency realtor will work for you to protect your interests and work with you to find and purchase the perfect home. Whether you are a first time home buyer, or have purchased several homes over the years, we work at a pace that is comfortable for you. We take the time upfront to determine your price range and the specific features you are looking for in a home. This allows us to search listings more efficiently. We will save you hours of time by sorting through listings and previewing homes, so that you see only the homes that meet your specifications. We can show you Uptown Dallas apartments and other rentals that meet your needs. We will show you all of the properties that meet your criteria. We have access to a large database of inventory, including the local Multi Listing Service (MLS). We will also show you homes that are listed as “For Sale By Owner”. Utilizing our network of local contacts and affiliates, we occasionally become aware of unlisted properties that may be for sale, providing that extra advantage to our home buying clients. We know the neighborhoods that are popular, where houses sell quickly, which may affect the timing and terms of an offer. We assess the impact of potential zoning changes, development issues, tax increases and municipal services, all important considerations when making an investment in a home. 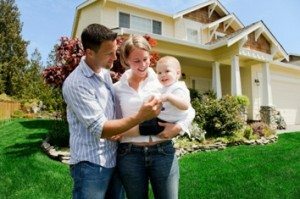 We can provide information about school districts, businesses, and recreational opportunities, with the goal of locating you in the neighborhood that best fits your needs. Bowen Agency Realtors promises to work hard to help you find the best possible home at the best possible price. We strive to make the experience a pleasant one, with your satisfaction as our number one goal.